When working with photos or other external images first they must be loaded into TwistedBrush Pro Studio. 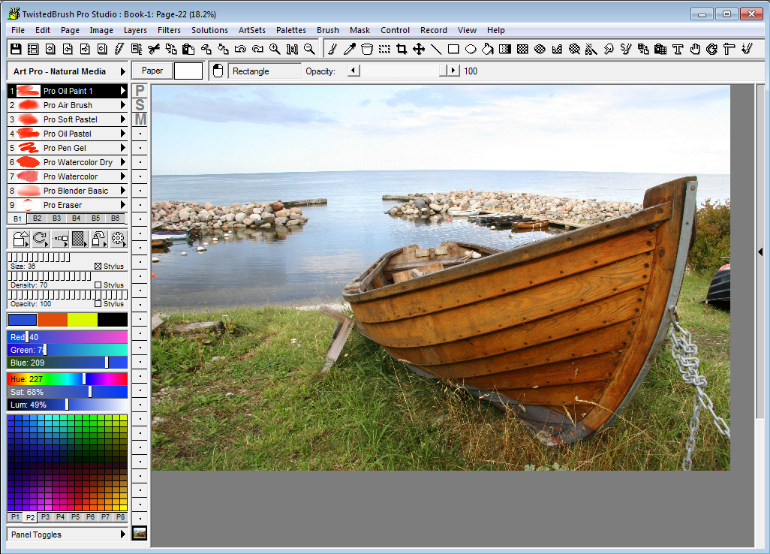 Loading any image into TwistedBrush Pro Studio is accomplished by replacing the current page you are currently on. Commonly you will choose No here since you must already be on a page in your book and ready to work on a new image and therefore either have moved to a new page or exported any image you wanted to save externally. 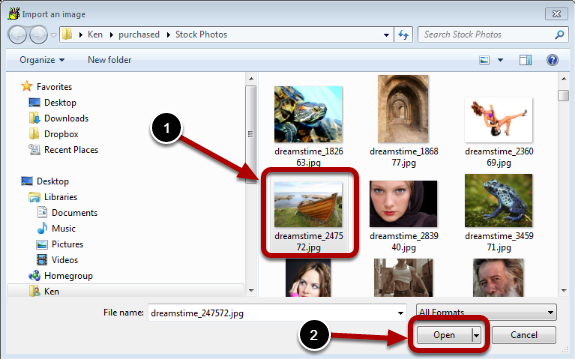 Find and select the photo file you want to load into TwistedBrush Pro Studio. After the photo loads it will display at a zoom level of 100% so there is a good chance you will not be able to see the entire image. 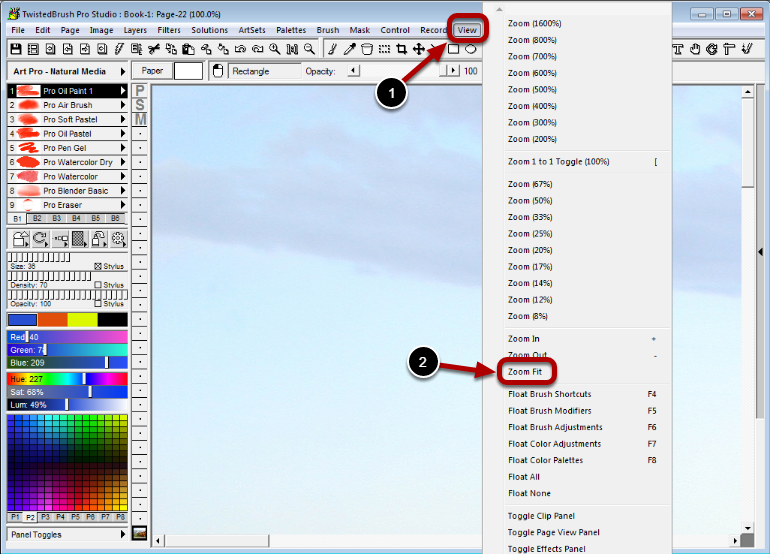 You can resize the image from the Image menu or zoom out as shown here to see more of the photo. Your photo is loaded, visible and ready for edits.